This new combat maneuver actually is based on a class feature of my house-ruled version of the Fighter. I created it after reading an excellent post at the Paizo about which signature abilities a Fighter should possess to strength its niche as master combatant in terms of options and tactics (instead, for example, of resilience and brute force, hallmarks of the Barbarian class). I’m still not sure if this mechanical approach was the best. For some time I struggled with making of the Maim maneuver a new feat – like Vital Strike or Penetrating Strike –, but in the end I decided for the Combat Maneuvers system. Also, it made more sense to me that bigger creatures are more resistant against Maim than smaller ones, and the CMD easily reflects that. To counterbalance that fact that Maim usurps some of the effects of the Dirty Trick combat maneuver, I tried to limit it with Weapon Focus. It’s worth remembering that – as an Advanced Combat Maneuver – it also requires a feat, as opposed to Dirty Trick. You can attempt to temporarily maim your foe as a standard action. Your maim attack can be directed against the one of these options, chosen by you before rolling: one natural attack (or arm/tentacle/tail), the legs (or equivalent limbs), the wings, one body part linked to a special attack (like the mouth for a breath weapon or eyes for a gaze attack) or the head. If your attack is successful, the foe has that body part or special ability temporary disabled for 1 round. If it is a natural attack (like bite), an arm or something like a breath weapon, the target can’t use it (if an arm, any held item is dropped). If it is the legs, the target’s speed is reduced to 5-feet (or by half it has multiple legs). If on the wings, it can’t fly or hover. If on the head, the target is blinded, deafened or sickened (your choice). If the Gamemaster permits, a head strike can instead disable any other sensorial ability like tremorsense or blindsense. For every 5 by which your attack exceeds the target’s CMD, this effect remains for 1 additional round. The target can spend a standard action to remove this temporary disability. Prerequisites: Power attack, weapon focus, fighter level 6th. Benefit: You acquire the Maim combat maneuver when wielding the selected weapon. Prerequisites: Improved maim, advanced combat maneuver [maim], power attack, weapon focus, fighter level 12th. Benefit: Whenever you successfully maim a foe, the penalty lasts for 1d4 rounds, plus 1 round for every 5 by which your attack exceeds the target’s CMD. Furthermore, instead of the normal effects of this maneuver, you may choose to inflict a penalty to any ability score of the target equal to 2, plus an additional 1 for every 5 by which your attack exceeds the target’s CMD. You must explain to the Gamemaster how your attack inflicted such damage – for example: a strike to the head could inflict Intelligence damage. This penalty does not stack with itself. Commentary: At first I thought about enabling the Fighter to do actual ability damage (like the rogue’s talent), but the approach felt wrong to me. Ability damage should be something more like a Critical Feat – anyway, it is an attack I believe the Fighter should have. Prerequisites: Advanced combat maneuver [maim], power attack, weapon focus, fighter level 6th. Benefit: You receive a +2 bonus on attempts to maim a foe. You also receive a +2 bonus to your Combat Maneuver Defense when an opponent tries to maim you. Finally, you can remove any maim effect with a move action, instead of a standard action. Prerequisites: Advanced combat maneuver [maim], power attack, vital strike, weapon focus, fighter level 6th. Benefit: When you use the attack action, you make one attack with a –5 penalty. If you hit, you deal damage normally and can execute a Maim combat maneuver as a swift action. 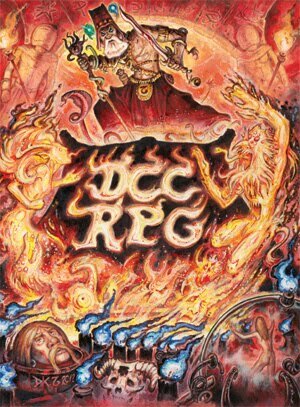 A Necromancer’s Grimoire: The Book of Purifying Flames is a small bookmarked PDF of 23 pages released by Necromancers of the Northwest. It deals with one theme – holy magical flames – and introduces a new type of damage for Pathfinder: purifying damage. Unlike the traditional five types of elemental damage, purifying damage always come associated with fire damage. The difference is that purifying damage only affects evil-aligned creatures (although they can use their fire resistance against it). From this basic premise, the authors introduce a lot of new options and variants with 25 feats, 20 spells and a 1 prestige class. Some of the new feats allow, for example, your purifying attacks to affect neutral targets, to inflict additional effects on evil targets or even to grant benefits to good creatures (like removing poison, diseases or curses). These new abilities – called Purification Feats – can only be used by good creatures and there is a limit to the number of effects that can be applied to one attack or spell. All of the new spells are combat oriented and deal purifying damage in one form or another. However, most of the spells also have secondary effects, like lesser healing on good creatures or more severe afflictions against evil ones. This design philosophy adds spice to what would otherwise be the dullest part of The Book of Purifying Flames. It also encourages some extra thinking from spellcaster players. For me the most fascinating spells were those that enabled arcane casters to heal as a secondary effect. The new prestige class – the Knight of the Pure Flame – is your traditional flame-wielding holy warrior. I admit that I found it a little unnecessary, as it doesn’t add anything new to the game. 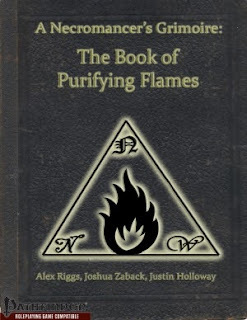 The Book of Purifying Flames, as other NotN products, has a short fiction, some unique nomenclature (like “dungeon maestro”) and a layout style resembling a scroll or grimoire. The only art in the PDF is of good quality (albeit with a strange and unconnected title… “The Fall of Rome”?). The supplement’s theme can be very limited, but the new mechanic, feats and spells (together with the excellent price) make of it a good purchase for your Pathfinder or 3.5 games. Despite having already played and enjoyed D&D 4th Edition, I know today that is not my favorite way of playing D&D. This in no way diminishes the game; it is just my sincere opinion. Now, what I really find odd about it is how the first rule conversions of D&D 4th concepts to 3.5 Edition struck me. I was really excited reading them at that time, but greatly disappointed with their original versions when the new Player’s Handbook finally came out. Because I thought they were a lot more cooler and interesting (from a mechanical point of view) in the 3.5 version. Today we’ll see Epic Destinies for D&D 3.5 (easily adapted to Pathfinder). As it seems the original article was removed from the D&D site I’m posting my copy of it - full text, pictures removed. The author is Logan Bonner. One of the new concepts of 4th Edition D&D is the epic destiny, which determines what you are fated to become, your role on the stage of history, and how people across the planes will remember you for all time. Epic characters are incredibly powerful, but those with epic destinies go beyond what normal people can even imagine attaining. With an epic destiny, you might bind powerful artifacts to your will, fight back danger that would destroy the world, attain divine power, find your place in a cycle of great heroes, become a force of nature, or become a ghost story that gets told forevermore. Every epic destiny gives you immortality -- either true everlasting life or a legacy that will live forever. One way or another, you will move beyond mortal affairs. You might leave the world, be reincarnated as a new hero, die a glorious death, or enter the realm of the deities and assume divine power. This is the end of your adventuring career, and it provides a satisfying ending to your character's story. Which is not to say that your story might not have an epilogue . . . there are many ways you might return and find adventure once again. The forms of immortality listed here include ways in which the DM might incorporate the legacy of your epic hero into a future campaign. You don't fulfill your epic destiny by chance or by gaining experience. Your final adventure, carefully crafted by your DM, takes you on to immortality. If everybody in the group has an epic destiny (which is recommended if you're using epic destinies in your campaign), the DM can end the campaign with one extraordinary adventure. You'll be working toward your destiny quest in subtle ways long before you reach 30th level. Keep an eye out for clues that might point toward your destiny quest. You have many options when using epic destinies. Not every group wants to end the campaign at 30th level, and not every DM wants to end a campaign in a way that will mesh with your destiny. All the details for immortality and suggestions for destiny quests are entirely optional. What happens to you when you finish your destiny quest (or if you just keep playing) is up to you and your DM. As a part of the core 4th Edition rules, epic destinies are an iconic facet of epic play. The epic tier of play is built to have an endpoint, unlike 3rd Edition's epic levels. Usually, this means taking on an immense threat to the world, such as Orcus, or perhaps even an evil deity. Normally, you can gain an epic destiny by taking the Epic Destiny feat. Doing so takes up your 21st-, 24th-, 27th-, and 30th-level feat slots. (You gain bonus feats from your class normally.) Your DM might decide that, if everybody in the group is taking an epic destiny, the epic destiny doesn't use up any feats. Ask your DM how epic destinies work in his campaign. Any effect that applies to class features also applies to epic destiny features. You have a destiny beyond that of other adventurers. Prerequisite: 21st level, any other requirements listed in the epic destiny's description. Benefit: Choose an epic destiny. You gain that epic destiny's benefits at 21st, 24th, 27th, and 30th level. When you have this feat, you do not gain additional feats at 24th, 27th, or 30th level. The power of magic items lures you, and you learn to command them with great ease. When you hold an item, you can trace the paths of the magic that formed it, and understand it like no one else -- not even its creator, unless the creator also is an artifact lord -- is able to. The more you use magic items, the closer your connection to them, and you gain the ability to protect them and even place your very soul within them. Eventually, even artifacts consider you their master. Impossible Activation (Ex): At 21st level, you disregard effects that prevent you from activating magic items. For example, you can speak a command word even when silenced, or activate a mental command item while dominated or unconscious. This does not apply to items for which you don't meet the requirements, but you automatically get a result of 20 on all Use Magic Device checks. In addition, you never provoke attacks of opportunity for activating a magic item. Charge Item (Ex): At 21st level, you get the most out of your magic items. Once per day as a swift action, you can add one charge to an item that has charges or get an extra use out of an item that has a limited number of uses per day. If the item has multiple functions that have charges (such as a staff) or multiple functions that have a number of uses per day, you choose which one to increase or restore. Disjunction Ward (Su): At 24th level, magic items you possess are protected against magical disjunction. If an effect (such as Mordenkainen's disjunction) would cause an item you hold, wear, or have on your body to become nonmagical, you can choose to negate that effect (for your items only) and to cause the effect's caster (if within line of effect) to suffer the effect himself. This feature also offers some protection to items you own, but don't have with you. An item you own that is not being worn or held by someone else gets a bonus on its saving throws equal to half your level. Soul Transfer (Su): At 27th level, you can transfer your soul to an item when you die. This ability functions once per day. When you are reduced to 0 hit points, choose a magic item you possess. Your body blazes with cold blue light, then transforms into adamantine as the object becomes your soul's new home. As the object you have a fly speed of 30 feet (perfect), though if you transfer into an item your body's wearing, you won't be able to move. You can cast spells in this form, activate the item, and attack with it if it's a weapon (or similar item). Anything you do using this item functions as it normally would, and you still count the bonuses for magic items your body's wearing. In this form, you can be attacked only as an item, not a creature (mind-affecting effects are an exception). If the item is destroyed, you die. Artifact Dominion (Su): At 30th level, you can call upon the power of various artifacts. An artifact called by artifact dominion appears, assists you briefly, then returns to the location from which it came. Choose three of the options from the list below. You can activate each effect once per day as a swift action. If at any time you possess one of these artifacts, you gain one extra use of the listed effect (and the artifact dominion effect doesn't prevent you from using the artifact normally). Book of Exalted Deeds: You can use this effect only if you are lawful good, neutral good, or chaotic good. For 1 hour, you cast good spells and use good abilities at +2 caster level. During this time, you can also make a melee touch attack that deals 1d6 points of damage per character level to an evil creature. Book of Vile Darkness: You can use this effect only if you are lawful evil, neutral evil, or chaotic evil. For 1 hour, you cast evil spells and use evil abilities at +2 caster level. During this time, you can also make a melee touch attack that deals 1d6 points of damage per character level to a good creature. Olidamarra's Dice: Choose a creature within 20 feet (or yourself). Roll 1d6 and consult the table to determine the effect upon the creature. There is no saving throw. Sphere of Annihilation: Duplicate the effects of disintegrate, caster level 20. Staff of the Magi: You gain spell resistance equal to 10 + your level for 1 hour, and you're invisible (as the greater invisibility spell) for 5 rounds. Immortality of Metal and Stone: With your destiny complete, you can rest in a new form that can survive for eons, through any sort of calamity. You disperse your essence into artifacts of your own design. Perhaps you transfer fragments of your persona to twelve amulets that wait to be picked up by the next generation of epic heroes. Or you could become an adamantine vessel that travels the skies, using supernatural senses to seek out danger and end it. Maybe your bones become artifacts, imbuing those who come upon them with some of your power. And if your next campaign is a 4th Edition game, you can use the artifact rules (in the Dungeon Master's Guide) to model your character's new incarnation. When powerful forces desire to end the world or to snuff out existence, you will be there. With power that is destined to be under your command, you can fight off any threat. There is no danger you cannot face, and on the battlefields where the fate of everyone and everything is decided, you will stand victorious. You can fight the most powerful of creatures -- those regarded as invincible by almost everyone. Unbreakable Body (Ex): At 21st level, you gain damage reduction 5/--. Unlike most damage reduction, this stacks with all other DR. You automatically succeed on saving throws when you take massive damage. Weapon of Ruin (Su): At 21st level, your attacks have abilities that let them bypass some damage reduction. You gain the aligned strike (corresponding to your alignment), epic strike, and magic strike qualities (Rules Compendium, pages 100-101). You can also emulate a material or damage type on all your attacks. Only one can be in effect at a time, and changing it is a move action. The effect is continuous. You can treat your attacks as bludgeoning, piercing, slashing, adamantine, cold iron, or silver (with no damage penalty). You also gain the ability to make a Sense Motive check (opposed by the target's Bluff) to determine the damage reduction type (but not amount) of a creature you can see. Slayer's Fury (Su): At 24th level, you gain the ability to make devastatingly accurate attacks. Twice per day as a swift action, you gain a +20 luck bonus on all attack rolls you make on your current turn, and your critical hit range is doubled. Furthermore, you suffer no miss chance on the attacks and can re-roll any 1 you roll on an attack or damage roll. Unstoppable Tenacity (Ex): At 27th level, you can fight when you should be dead. You don't die when you reach -10 hit points. Instead, you die when you have negative hit points equal to half your full normal hit points. Furthermore, you can keep fighting when you are below 0 hit points. When reduced to -1 or fewer hit points, you automatically become stable and can choose to keep fighting. If you keep fighting while below 0 hit points, you take a -1 penalty on attacks, saves, and checks. Destiny Strike (Su): At 30th level, you can make attacks that strip away the defenses of powerful enemies. You can use this ability three times per day. Before making an attack, you can declare it to be a destiny strike (a free action). If you hit, the DM lists all of the following the hit creature possesses: damage reduction, fast healing, immunities, miss chance (including from incorporeality), regeneration, resistance to energy, spell resistance, and turn resistance. You can suppress one of those benefits for 3 rounds. If it has multiple types of immunities or resistances, choose only one. The DM lists only the types, not the amounts. For example, the DM would tell you a monster has fast healing, fire resistance, and spell resistance, not that it has fast healing 23, fire resistance 10, and spell resistance 35. The Long Wait of Immortality: Your destiny quest has been fulfilled. Most likely, you fought off an evil that could have destroyed your world, your plane, or all of creation. 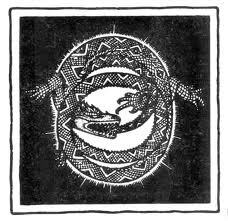 Your work done, you pass into hibernation in an unknown place, sleeping until you are needed once more. You've become a legendary, godlike figure. The one who is prophesied to return when needed once again. When another threat arises that is as powerful as the last, you might rise to stop it . . . but you might need to be awakened. A group of adventurers could seek you out to tap into the deep well of your martial power. And perhaps your new character can be one of these brave souls. Over the course of adventuring, you have attained some small degree of inherent divine power. This initial spark is different from what divine spellcasters tap into, because it comes from within, not through worship or from the great deeds you have accomplished. As you travel through this epic destiny, you gain a small following of worshipers, which grows with each level until you become a full-fledged deity, and enhances your inherent divine power. Note that the demigod epic destiny does not use the demigod traits outlined in Deities and Demigods. This is to keep the demigod's abilities more in line with the rest of the party, and for simplicity's sake. Divine Spark: At 21st level, you gain either a +1 inherent bonus to each of two ability scores or a +2 inherent bonus to one ability score. Death Denied: At 21st level, you become resistant to attacks that would instantly kill you. You gain a +5 luck bonus on saving throws against necromancy effects and saving throws against massive damage. If you roll a 1 on one of these types of saving throws, you can re-roll the die. If you succeed on a save against a necromancy spell, you suffer no effect, even if you would normally suffer a partial effect. Regenerative Touch (Sp): At 24th level, you gain the ability to use regenerate at will (caster level 20). Divine Surge (Su): At 27th level, you can restore yourself to fighting form. Once per day as an immediate action, you can use this ability to restore yourself to full maximum hit points and gain the benefit of greater restoration. Miracle (Sp): At 30th level, you can use miracle once per day. You choose what happens, using your own divine power instead of making a request of a deity. You must still pay any XP and component costs required by the miracle spell. Use your character level to determine the caster level. Divine Immortality: When you reach the end of your destiny quest, you become a true deity (if a minor one). Perhaps you create your own divine domain and portfolio, or perhaps a deity you had a close connection with gives you a piece of his power in respect for your incredible service. You might want to design a divine portfolio, holy symbol, and other trappings of your own faith before the campaign ends, and share those with the group when you finish your destiny quest. When you reach godhood, the adventuring life seems quaint compared to the power you wield. Your character's need to travel and battle mortal threats is finished, but her influence on other adventurers might not be. Perhaps the deity you've become will even be a major player in your next campaign. Over many eons, in many bodies, with many names, you have adventured and conquered. In an endless cycle of death and rebirth, you have attained the name "hero" in many lands and many incarnations. When you die, you always return again, as a new hero. You might be very different in each form, but a common thread binds one soul to all these manifestations. You learn to draw on the strength and resolve of your past selves to fight off death itself. Continual Resurrection: At 21st level, you gain the ability to return from the dead. At dawn each day, if you are dead, you are restored to life (as true resurrection). You can set a place where you want to be resurrected. (You must be standing in that place when you make the choice.) When you are resurrected, you can choose to be resurrected in the place you choose or in the place you died. You can choose a new location for your place of resurrection once per level. Death Denied: At 21st level, you become resistant to attacks that would instantly kill you. You gain a +5 luck bonus on saving throws against necromancy effects. If you succeed on a save against a necromancy spell, you suffer no effect, even if you would normally suffer a partial effect. You gain a +10 luck bonus on saving throws against death attacks and saving throws against massive damage. If you roll a 1 on one of these types of saving throws, you can re-roll the die. Quickening: At 24th level, your body begins to heal at an amazing rate. At the start of your turn, you gain a number of temporary hit points equal to your level. If you already have any temporary hit points when you gain these temporary hit points, they do not stack -- use only the higher value. Eternal Renewal (Su): At 27th level, you gain the ability to immediately come back from death's door. When you take damage that reduces you to below 0 hit points (even if you go below -10 hit points), you can use this ability as an immediate action. You go to 0 hit points, then regain a number of hit points equal to half your maximum hit points. You can use this ability twice per day, increasing to four times per day at 30th level. Nexus of Many Lives: At 30th level, you can tap into the power of one of your past incarnations. You can use this ability once per day. When you do, choose which incarnation to activate and use the effect listed. Upon gaining this class feature, you must choose a weapon type for the warrior incarnation, the arcane spell for the arcanist incarnation, the divine spell for the disciple incarnation, and up to three options for the traitor incarnation. The Warrior (Su): Make a full attack as a standard action. For the purpose of this attack, you have a +25 base attack bonus, a +11 Strength modifier, and a magic weapon with up to a +8 enhancement bonus and special properties equaling up to a total +5 bonus equivalent (you must choose the weapon's bonus and properties when you gain this epic destiny feature). You can apply any spells affecting you or feats you have to these attacks. The Arcanist (Sp): Duplicate the effect of any 7th-level arcane spell from any class list. Your caster level is equal to your character level for this spell. While casting this spell, you do not suffer arcane spell failure, you automatically succeed on Concentration checks, and you gain a +10 bonus on caster level checks to overcome spell resistance. The Disciple (Sp): Duplicate the effect of any 7th-level divine spell from any class list. Your caster level is equal to your character level for this spell. While casting this spell, you automatically succeed on Concentration checks and you gain a +10 bonus on caster level checks to overcome spell resistance. The Traitor (Sp): Duplicate the effect of any 8th-level evil spell from any class list. This can include spells that can attain the evil descriptor if used in certain ways, such as summon monster spells, but must be cast as the evil version if used in this way. When you use the traitor manifestation, you might become evil if you are not already. Make a Charisma check (DC 20) after you use the manifestation. If you fail and are good, change the good axis of your alignment to neutral. If you are not good or evil, change neutral to evil. Your caster level is equal to your character level for this spell. While casting this spell, you automatically succeed on Concentration checks and you gain a +10 bonus on caster level checks to overcome spell resistance. Immortality in Rebirth: Despite your ability to avoid it, you will eventually face death. It might be from a foe too powerful to overcome, but whom you might face again in another life. Or, you might have finished your destiny quest and realized your work is done in this body and it is time to move on. In either case, your soul returns to its true essence, and you experience, briefly, knowledge beyond all mortal ken. Then, you find yourself once again in a new body. Does this manifestation know anything about its past lives now or will it learn more later on? Does this form resemble the last or are they far different? All these might be questions to explore with your next character. Your connection to nature has always been strong, but now it grows deeper still. Wherever you go, your essence infuses the landscape all around you, and you are likewise affected by your surroundings. You can manifest the power of the weather and call upon all the animal and plant life of the terrain to defend you or strike your foes. The strength of stone, the fluidity of water, and the life force of the trees are all a part of you. In time, it becomes difficult to separate you from the land, as it and your soul merge into one. Boon of Nature (Su): At 21st level, you gain a continuous benefit that gets better in certain types of environments. You have access to two of the different boons listed below (chosen when you acquire this class feature), and can swap out boons as a swift action. The benefit applies in both your normal form and when wild shaped (or otherwise in an alternate form). Boon of Life: At will, you can use a swift action to heal a creature within close range (25 ft. + 5 ft./2 levels). This effect cures a number of points of damage equal to half your character level. While you are in an area where plant growth is pervasive (such as a forest or meadow), you have fast healing 10. Boon of Stone: You have DR 3/adamantine while this boon is active. If you have the ability to wild shape into an elemental, you can wild shape into any elemental with the earth subtype (within the normal size and HD restrictions). If you're in an area where stone is common (such as a mountain or stone-walled structure), you can trigger a minor tremor as a swift action. The range is long (400 ft. + 40 ft./level) and affects any creature standing on the ground within a 30-foot-radius spread. An affected creature must make a Reflex save (DC 20 + your Wisdom modifier) or fall prone. Boon of Storms: At will, you can use a swift action to tap into the power of lightning or wind. You can call down a streak of lightning against a creature within medium range. It requires a ranged touch attack to hit and deals 1d6 points of electricity damage per two character levels. If you have the ability to wild shape into an elemental, you can wild shape into any elemental with the air subtype (within the normal size and HD restrictions). If you're under an open sky, you gain concealment (20% miss chance) while this boon is active. Boon of Water: While this boon is active, you gain DR 3/magic and resistance to fire 10. If you have the ability to wild shape into an elemental, you can wild shape into any elemental with the water subtype (within the normal size and HD restrictions). While you are in an aquatic environment, you gain the benefits of freedom of movement and water breathing. Improved Boon of Nature: At 24th level, you gain access to one additional boon of nature. Storm Suffusion (Su): At 27th level, you take on the form of an immense storm when you are in danger of dying. When you are reduced to 0 hit points or fewer, you become a storm. This duplicates the effects of a storm of vengeance, with the radius of the effect centered on the square where you were. Use your character level for the caster level and your Wisdom modifier for the ability bonus. This effect lasts for 5 rounds (it's not dismissable when used this way), at which time you return to your natural form at 0 hit points and become stable. You can use this ability once per day. Environment Shape (Su): At 30th level, you can assume the form of the terrain around you when you wild shape. When you do so, choose one of the forms listed below that is applicable in your current environment. You fuse with the terrain, taking up a 15-foot cube of space within the terrain type you choose (this cube must be adjacent to you when you change shape). This makes you fill the same amount of space as a Huge creature, and attacks against you can target any square in that space (though you don't take any of the modifiers for being Huge). You can "move" at your normal speed, though you're actually moving your essence from one part of the environment to another. Consequently, this movement doesn't provoke attacks of opportunity. Unlike with other uses of wild shape, your physical ability scores do not change and gear you wear still functions, though you can't activate items. If you are targeted by a spell that would affect the terrain (such as transmute rock to mud or whirlwind), you get a Fortitude saving throw. If you fail, you return to your natural form in a square adjacent to the space you occupied as the terrain. Form of Life: You must be in an area where plant growth is pervasive. You gain the benefits of boon of life (see above). You can make a grapple check as a swift action that doesn't provoke attacks of opportunity. You can use a slam attack as a swift action or a standard action. You can use control plants and entangle at will, as supernatural abilities. Form of Stone: You must be in an area where stone is common. You gain the benefits of boon of stone (see above). You gain a melee touch attack that knocks the target prone. You can use this attack as a swift action or a standard action. You can use earthquake as a supernatural ability, using your character level as the caster level. You can do this once while in this form (returning to normal form, then using wild shape to return to form of stone allows you to use earthquake again). You can also cast spells with the earth descriptor normally while in this form (as the Natural Spell feat), and you use them as though you were three caster levels higher. Form of Storms: Only while under an open sky, you gain the benefits of boon of storms (see above), plus the following additional features. You gain a slam attack that deals 2d8 (plus your Strength modifier) points of damage and knocks the target back 20 feet. You can use this slam attack as a swift action or a standard action. You can use call lightning storm as a supernatural ability while in this form. This is an at-will ability, but you can have only one in effect at a time. You can also cast spells with the air or electricity descriptor normally while in this form (as the Natural Spell feat), and you use them as though you were three caster levels higher. Immortality of the Earth and Planes: Your life force pulses with the rhythms of the natural world, and in time you can no longer tell which is which. Your essence flows from place to place in the world, and from plane to plane. You see many things, but care little for events that don't harm the plants and animals of the planes. Over the eons, your name becomes forgotten -- heard only in the rustle of leaves, the crash of thunder, and the babbling of brooks. Legends of your exploits have traveled the world, but they seem so unreal that most consider your very existence a rumor. An enemy might, if he's lucky, catch a glimpse of you in the shadows before he feels your blade in his back. Those who bring the fight to you find you an elusive opponent -- almost impossible to keep in one place or to hit effectively. Being a mythic shadow means you won't get all the glory you deserve, so you'll have to take comfort in being the one person who knows how good you really are. Improved Precision Damage (Ex): At 21st level, any attack you make that gets extra precision damage (because you're able to strike a vital spot with an ability such as the rogue's sneak attack, ninja's sudden strike, or scout's skirmish) becomes more powerful. Increase the size of your precision damage dice by one step. Phantom Visage (Su): At 21st level, you are under a constant greater invisibility effect. You can suppress or resume this effect as a swift action. Spectral Stride (Su): At 24th level, you gain the ability to move through solid objects. Doing so requires you to have a 10-foot running start. Additionally, you treat these objects as difficult terrain (each square of movement counts as 2 squares, each diagonal square counts as 3), and you can't end your movement inside a solid object. This movement provokes attacks of opportunity normally, but you have concealment (20% miss chance) against such attacks. Spurn Death (Su): At 27th level, you can usually avoid being killed or disabled. If you would be reduced to 0 hit points or fewer by an attack or die from massive damage from an attack, you can use an immediate action to attempt to spurn death. You have a 50% chance to avoid all damage from the attack. Shadow Strike: At 30th level, your attacks with weapons, natural weapons, or unarmed strikes become touch attacks. Immortality in the Shadows: Many characters who achieve their epic destinies leave the world, but you might not want to. Ageless and always concealed from sight, you can find out many things you're not supposed to know. There are still so many places to go and things to see that you might not tire of earthly delights for some time. Occasionally, you might even hear a story about yourself and your exploits. Perhaps you'll even spread a few rumors of your own. There's something satisfying about watching tales of your legendary deeds grow and become well-known legends, and if there are a few exaggerations here and there, who does it hurt? When the bards sing tales of your first adventures, even if you're actually 3 feet shorter than they say and you didn't really kill 800 orcs with one swing of your blade, it still feels like old times. In time, as your tale becomes taller and taller, you can no longer remember whether you're a real person, or just an old story. If you decide to use epic destinies in your campaign, you'll need to dedicate yourself to working closely with your players, and you may possibly need to give up some of your control as a DM (but if you're playing epic level, you've probably gotten used to that anyway). The epic destiny a player chooses gives you a good idea of what she expects to get out of the final stages of a campaign. As a DM, epic destinies are a great tool for crafting the last adventures of your campaign. If you've already plotted out the endgame, try tying destiny quests into the story. Let's say you're using Atropus from Elder Evils as a threat in your game (either a version you've modified to epic levels or one you're fighting using the "Non-Epic Epic Destinies" variant). This undead planetoid can obliterate all on an entire world if it's not stopped. A blade of Ragnarok character thrills at the prospect of a battle to decide the fate of the world. The force of nature must stop the destruction of natural life. The demigod sees the failure of the deities to stop the incoming destruction, and vows to become a deity who will be prepared for such extreme dangers. The eternal hero's previous incarnation is the one who inadvertently called Atropus to your world, and must stop the creature to redeem himself. The immortality section of each epic destiny also includes ways you can create continuity between campaigns. By linking the epic characters from previous campaigns to your next campaign, you can give players a sense of a larger world and give their characters a more important role within it. This approach works especially well if you plan to do multiple campaigns in the same world. Here are some suggestions for engaging characters who are using epic destinies in your campaign. Item-related hooks can draw in the artifact lord player. You can use an artifact lord character to bring artifacts into your game. The party finds a deck of cards that looks much like a deck of many things. However, instead of the normal faces, each of the 22 cards has a message scrawled on it describing a mission. The PCs find that if they complete a mission, the message transforms into a single letter. What could the 22-letter message be? One of the artifact lord's items, which seemed to be a normal magic item, suddenly becomes intelligent. Its personality seems benign, even helpful at times. But soon, other party members' items gain sentience, too, and they all share the same personality. As it spreads, the items grow rebellious, but you can't get rid of them. What is this being, and why is it taking over your items? Combat and world-ending threats are compelling to a blade of Ragnarok. Only the biggest threats draw the notice of such a powerful warrior. Signs of deadly portent abound. The night sky is filled with strange phenomena, and a scourge upon the land brings drought, famine, and disease (see "Signs of Apocalypse," Elder Evils pages 7-10). The signs are clear, but there are so many. Is it possible many evils rise against the world at the same time? There is not just one blade of Ragnarok, and their numbers are split. A blade of Ragnarok sits on the throne of a small empire in the Outlands, far from other civilized life. He kidnaps beings from across the planes and brings them here to serve as slaves. All manner of creatures from solars to titans to great wyrm dragons toil, bound magically to his command. They carry out many schemes, and if the PCs can follow them to the Outlands and slay the corrupt blade of Ragnarok, they can greatly influence the apocalyptic battle. Adventure hooks for demigods usually deal with existing deities and danger in good deities' domains. Becoming a true deity requires great sacrifice and dedication. The existing deities devise challenges for one who might join their number, and there's no guarantee that Ehlonna or Pelor will be any more lenient than Hextor or Gruumsh. These challenges can be folded into other adventures (and much of the difficulty lies in discovering when you are being challenged). Theme these challenges to the deities who chose them. Kord might demand a test of courage in battle. Vecna might want the demigod to infiltrate the power structure of one of his followers he suspects of deception. Fharlanghn might send the demigod traversing across the planes, gathering dust or useless trinkets from every corner. A deity needs to travel to a distant place. Perhaps it is beyond all the planes, in a place difficult for anyone but a deity to fathom. Perhaps the deity needs to assume a less powerful form for some time. In any case, it's too dangerous to let others know of the deity's absence. The demigod character must impersonate the deity, see to the affairs of the divine domain, and generally maintain appearances. This "trial run" for godhood might come with unwanted surprises . . . Since eternal heroes all have deep histories, it's easy to incorporate them into your campaign. Here are a few plot hooks related to eternal heroes. The PCs find a magic item or artifact that belonged to a previous incarnation of the eternal hero. Inscribed on it is writing in a secret language only the eternal hero can understand. It warns of impending danger. The eternal hero hears about a villain that gives her an odd mental image. She discovers she encountered this villain in a previous incarnation. Perhaps this was someone the eternal hero was unable to defeat, an undead form of the original, or even an "eternal villain" who will always return to plague the hero. The party encounters a descendent of one of the previous incarnations of the eternal hero. This descendent wields some of the power of that incarnation. This could even be one of the PCs, if the players are game. The secrets of the natural world are known to the force of nature, and they can be a source of adventure ideas. The grass, the animals, and the rock of the earth speak to the force of nature. Every place of evil, and every dungeon in which aberrant creatures live, is like a disease in nature's body. Nature's life force is growing dim and could be snuffed out. Eons ago, shards of a vast, green crystal -- a heart of the earth -- were wrenched from the earth and scattered into hidden places across the planes by vile beings. If the PCs can recover the pieces and reform this nexus of nature's power, nature's resurgence can blot out the grotesque mockeries that dot the surface of the world. A powerful group of mind flayers (similar to the mind flayers of Thoon, Monster Manual V, pages 104-125) seeks a mysterious substance called "quintessence." It exists in many places, and the mind flayers are willing to extract it even from living creatures. Every time they extract it, the earth -- and the force of nature -- feel pain. The mind flayers are ruled by a thoon elder brain (MM5 144, advanced to 30 HD). The leaders of the group are ulitharid sorcerers (LoM 158), who aspire to gain even more power by becoming alhoons (LoM 157) kept alive with quintessence. You can use advanced versions of the thoon creatures as rank and file. When a mythic shadow hears about an impenetrable fortress or well-guarded secret, she considers it a challenge. Sometimes, the reward for pulling off an unlikely scheme is just being able to say you could do it. The city of Sigil (Dungeon Master's Guide 167) is vast, and no one knows all its secrets. Several centuries ago, a sage began recording every door in the city, and he actually almost completed his list. However, he met with a messy end. His assassins failed to account for all his magical countermeasures, and his vast folio of maps landed in the hands of the mythic shadow, for unknown reasons. It seems like someone wanted to keep the sage from completing the list. Can the PCs discover why that is, and how the mythic shadow became involved? The mythic shadow walks the thin line between reality and legend, as does the Mazraghar Fortress. Tales bandied about between epic adventurers say that the fortress was formed with giant bricks carved from the substance of different planes and serving as a window into each. One brick is a slice of Arboria, another a chunk of the Negative Energy Plane, and so on. The fortress was created by a great dragon, and all his friends and allies died while building the fortress. When it was done, the dragon went inside and hasn't left. He now sits, watching all areas on all the planes, but with no companionship. Stories about the fortress are assumed to be fables, illustrating moral concepts about how ambition and power bring only solitude. But the mythic shadow character is not so sure they aren't true. What kind of power rests in Mazraghar Fortress? How can the PCs get there? And how does one get past a dragon who can see all places? Despite the name, it's possible to use epic destinies at non-epic levels. If you don't feel like playing in an epic campaign, you can change the prerequisite of the Epic Destiny feat and the levels at which you replace feats with epic destiny features. *The 20th-level feature doesn't replace a feat. Keep in mind that the epic destiny features are much more powerful below epic level! Your game automatically has a higher power level than normal, and the power between characters is very unbalanced unless every character has an epic destiny. You can use tougher monsters to compensate, though you can give XP as though the monsters were lower CR to keep advancement at the rate you want. From now on I decided to create a new column – Worldbuidling – where I’ll try to elaborate on setting construction and on ideas taken from the game’s structure, like classes, races, spells and mechanics. That retrospectively makes Divine Classes and Cosmological Considerations my first Worldbuilding post. Here’s another random thought, born again of my tedious hours of study. This one is about a small detail of Pathfinder: raise dead. You might be saying: Yeah, that’s obvious. So what? The “what” is that many of us play Pathfinder/D&D in a style more reminiscent of a fantasy novel or movie instead of the game’s original goal. Because of this we’re constantly at odds with some assumptions that work perfectly fine if all you want is a good Old School game. Take for example the raise dead spell. In which novel does that kind of magic is so vulgar and blatantly accessible? It’s hard to pick one. Even in over-the-top fantasy series like The Malazan Book of the Fallen raising the dead is the result of a deity’s direct intervention. Actually, we can even go further: is damn hard to find a novel where there’re clerics and divine spellcaster that work like in the Core Rulebook (even if I choose a D&D novel!). The old pretext that “divine spellcaster of that level are rare” doesn’t convince me. Check the classes’ demographics at the Dungeon Master Guide for 3rd/3.5 Edition. The gold cost justification is also shaky – because it doesn’t really stop the priest from choosing whom to resurrect and when. By the game’s logic most monarchs, rulers, nobles and important figures would ALWAYS be raised from the dead. It’s too easy to follow a deity’s ethos and most settings have a god for practically every type of alignment/behavior. Just in a few, like Iron Kingdoms , Vallus or maybe Scarred Lands the authors really created some clever complications. So in a typical Pathfinder setting you can expect most wars to last practically forever (or just a damn lot more) because their military leaders and warlords will usually be easily brought back from the dead. Try to picture what would have happened if Genghis Khan, Alexander the Great or Julius Cesar were so promptly raised from the dead. Most Gamemasters naturally create complications for that kind of magic in their settings or campaigns, as a way of dramatic balance to their stories. Usually it falls to the deities’ “unfathomable demands”. There are DMs that come up with special items or spells – I remember a magic poison from Monte Cook’s Book of Eldritch Might that created in the dead victim a permanent “spell resistance against resurrection magic”. Other prefer to place strange or unsettling effects on characters raised from the dead (I remember even a DRAGON Magazine article about this). In my old Greyhawk campaign I created a variant of the hallow/unhallow spell that prevented the resurrection of any character of opposed alignment buried in that ground (traditionally a fortified temple). This resulted in adventures were the party was sent to retrieve the remains of a holy champion or king, stolen after his fall in a battle by Iuz’s or the Horned Society’s armies. I always found hard to create a spell or class ability that simply made resurrection impossible – as a rule I leaved that to artifact-level items or places. In my Chronicles of the Seventh Moon campaign I just made raise dead a 9th level spell and removed resurrection and other dweomers. I also created strange social taboos around raise dead – for example, the Dru human culture of this setting believes that a person raised from the dead is “born again” and so must be given a new name and place in the society. Because the gods of Isaldar are dead, this arrangement works just fine for me. Another idea I had some years ago (I guess after reading Green Ronin’s The Book of the Righteous ) was of the Eternal War, a setting background element that can effortlessly be fitted in other scenarios. The Eternal War was a massive world conflict that happened in a previous age of the world (during its classical era if you like). This war never ended because heroes and champions on both sides were always brought back (imagine the Troy War plus raise dead; better yet, read The Worm Ouroboros ). The ravages caused to the world became so overwhelming that the deities were forced to intervene – establishing that each mortal could be raised from the Dead Realms only once. Any other attempt was against the divine order (and forced the party to go planewalking into Hades or your usual Underworld, or to ask for the help of fiends). I thought at the time that this was a simple and logic explanation for limiting resurrection and still keeping most of the game’s tropes. And what about the Clone Wars part of the post’s title? Well, from where did you think I stole the idea for the Eternal War? Oh, and I mean the “original” Clone Wars, those briefly mentioned in Episode IV and better developed in Timothy Zahn’s awesome Thrawn’s Trilogy (or in Leigh Brackett’s original script for Episode V). I decided to stop the level progression of the player characters of my Pathfinder campaign at the 12th level. If that sounds strange to you, please take a little of your time to read ‘E6’ – a fabulous mini-game inside the traditional d20 engine. My two previous experiences with d20 high-level were limited to one Dragonlance campaign in which I played a dwarf cleric from 1st to 17th level (and 2 resurrections). In that wonderful game, I became increasely aware of the DM’s difficult to respond to the high level spells and combos created by our party. The other example was a Greyhawk/Return to the Temple of Elemental Evil campaign that I run until the 14th-15th levels. Again, the party increasing power soon became a major problem that took most of my preparation time (instead of the plot and adventure development) – I was more worried with negating the spellcaster (and psionics) characters abilities than enjoying myself with the game. These situations taught me that I really don’t enjoy D&D/Pathfinder high level games outside of a classical dungeon-delving or wilderness exploration structure (or Adventure Path). Which, thinking now, makes perfect sense – after all, that’s what those games were really made for, no? But that also made me remember reading that Gygax/Anderson never really devised the original D&D to go beyond the 10th level. Maybe that isn’t true, but it does make a lot of sense to me today. Nevertheless, in my C7L/Pathfinder game I found out that the party’s power was getting ridiculous high and easily stepping into a “super-hero/Indian-demigods”-level of power. My campaign usually thrives on the clash of armies, recurrent villains, political intrigue and drama created by hard personal choices – themes that were becoming hard to execute within the system’s quick power progression. Of course, you could say that I really should stop playing that style of campaign with Pathfinder, however: 1) my players and I really LOVE D&D/Pathfinder; and 2) we used to play that way with AD&D without any problems. The thing is: if I could stop the infinite HPs/Saving Throws/BAB simultaneous progression approximatedely at the 10th level I’m sure it’d be the perfect “sweet spot” for my Pathfinder games. The issue is not necessarily the power level, but the ridiculous consequences of the continuous (and fast) progression of the stats above. I realized this because, even taking into account that I’m stopping the game progression at level 12, I still want to use Epic Destinies with the player characters (a topic for a future post). The normal level progression was lessening every kind of menace I intended to throw at the party – and therefore lessening the drama. In other words, the game’s proposed structure was forcing me to resort to things like demons, dragons and other creatures whose presence didn’t make sense in my setting. Well, enough rambling… here are the rules modifications. As mentioned, they were inspired by ‘E6’ subsystem, which is an obligatory read to fully understand and use them. 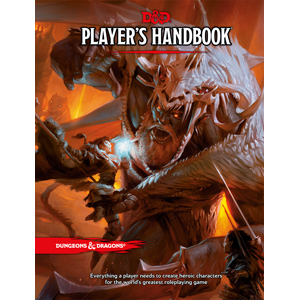 The Pathfinder Advanced Players Guide is also necessary for this particular “house-ruled” version. The PCs stop following the normal progression of the Pathfinder Core Rulebook at the 12th level. They still gain XP normally after that but, instead of gaining new levels, they obtain 1 Benefit each time they accumulate the necessary XP to go from levels 11 to 12. NPCs are not bound by any of these rules and should be built according to the Gamemaster’s needs. With 1 Benefit each PC must choose one of the following options: 1 Feat, +1 to one Ability Score, 5 Skill Points (still limited to 12 ranks) or +8 Hit Points. These abilities still can be bought through a new category of feat called “Heroic Feat”. The prerequisites of these feats should be adjudicated by the Gamemaster for each high-level ability desired. A basic suggestion is to creature a chain feat structure (with low level spells or class features as prerequisite for high-level ones), adding to each of these feats a setting element or special achievement as special requisites. For example: a draconic bloodline sorcerer must drink the blood of an old dragon to gain a high-level power of his bloodline and a cleric must swear service to a specific temple (or outsider) to gain resurrection. Finally, every Heroic Feat requires 1 Hero Point every time it is used by a PC. The Hero Points rule can be found at the Pathfinder Advanced Players Guide (or here). The idea behind this last restriction is to limit the use of potential “game-breaking” powers like disintegrate or gate. In fact, I encourage Gamemasters to further limit the use of certain spells and abilities, maybe by increasing the Hero Point cost or by linking them to a certain location or time (extra requisites). This should increase the tension and drama when these greater powers are used (for more “normal” features like high-level combat feats, the Hero Point cost alone should suffice). This system will be used in my current Pathfinder campaign and I’ll try to post the results here (including new feats derived from these ideas).